Featuring Riggs, Jones, Kaling, Dicks, Kline, Haddon, and more Kingdom Hearts! Every month (give or take), I post all the new-to-me books that I read the previous month, and make rambly remarks that sort of resemble reviews, but not really. I don’t fancy myself a critic, but I do like talking about books and sharing my love and appreciation for really good stories (and ranting about the not-so-good ones). So these aren’t so much critiques, but rather, my immediate thoughts after completing a text. Here are the books I read in March 2015! 3.5/5 ✦ – Finished 2 Mar 2015. Maybe my expectations were too high, but I was expecting more? 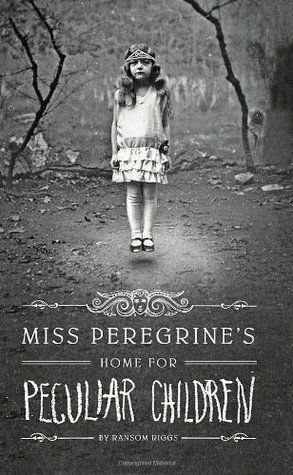 It seems to be a very eerie book, especially with the “real” photos (I was thinking a YA House of Leaves), but it ended quite normal, in typically fantastical YA fashion (kids with powers, wow!). If it had been marketed THAT way, it would be above average. But I wanted what the cover and beginning chapters promised: a creepy, unique story. 5/5 ✦ – Finished 6 Mar 2015. 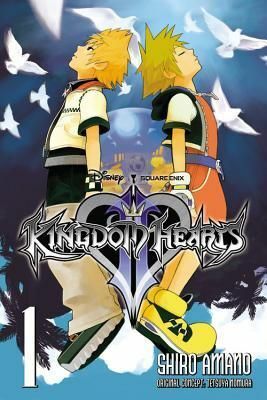 The Kingdom Hearts manga saga continues! 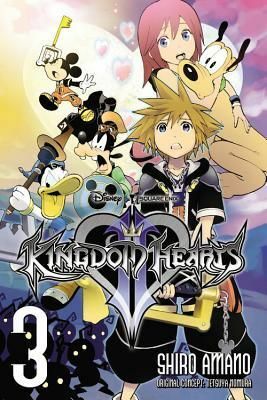 There is much more detail put in for Kingdom Hearts 2 than the first ones, and it’s not even finished being published! (The author took a break to do 358/2 Days.) I liked the expanded section on Roxas, as it made him more likable (and sad), and the worlds are doubled up, not separate like the game. Again, very funny and AMAZINGLY drawn. 4/5 ✦ – Finished 7 Mar 2015. Now that I knew what to expect (x-men kids on the run being chased by heartless and nobodies), I found it to be more enjoyable than the first book. The pictures helped, and considering how many featured dead people, were actually pretty creepy. The plot runs both fast and slow, and the cliffhanger/twist at the end was only to be expected, even though I didn’t know there’s to be a third novel. Quite interested to know how this will end. 4/5 ✦ – Finished 11 Mar 2015. Companion to Howl’s Moving Castle (which I re-read just before this). I was already warned that it wasn’t exactly a sequel and featured different characters, so that didn’t bother me. 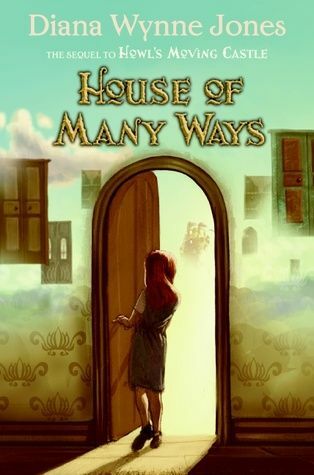 It’s a very well-written story, done in Jones’s usual effortless, engaging, funny, insightful style. As much I can tell (being white and American), it’s fairly respectful to Arabian culture, but there’s just enough “othering” that makes it a bit off. The twist at the end is pretty awesome, tho. 4/5 ✦ – Finished 12 Mar 2015. Companion to Howl’s Moving Castle. 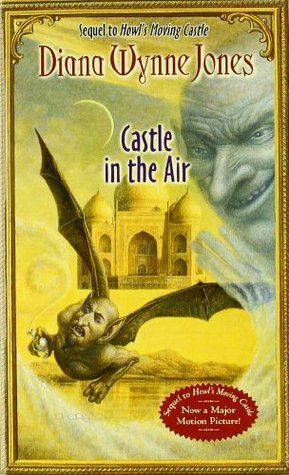 It’s become increasingly apparent to me that it’s hard for a Diana Wynne Jones novel to go wrong, and even though this one missed a few marks, it’s still really good. Charmain (which my brain insisted was Chairman) is an interesting character, very close to myself, but just on this side of too annoying. Peter (bit underdeveloped) is quite right to call her out when he does. All the other little bits with Sophie, Howl, and Calcifer are nice and lovely, though the plot gets mighty confusing toward the end. MAGIC! 4.5/5 ✦ – Finished 14 Mar 2015. 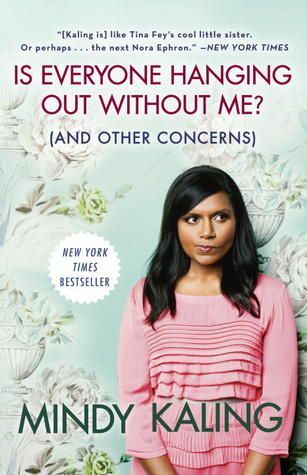 I think that most people who read this book, I came away thinking that Mindy Kaling would be like, one of my best friends. We share much of the same interests (well, more in comedy than fashion), and I too was a shy bookworm until thrust into the social sphere. She doesn’t delve too much into being a POC woman in a white male industry, but then, that’s not what this collection of “essays” is really about. It’s about her journey from discovering comedy to actually writing, acting, directing, and producing it. Quite inspirational and funny and warm. 3.5/5 ✦ – Finished 17 Mar 2015. This is a really hard book to review. 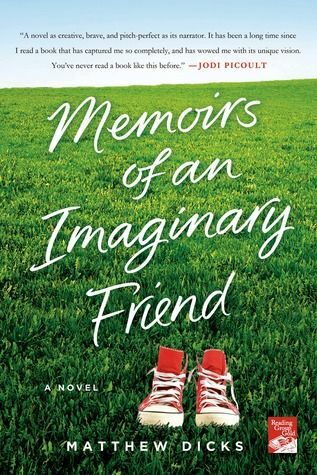 On one hand, I really liked the world-building; the idea of imaginary friends being (sorta) real is wonderful, and I liked how realistically they were portrayed. Max, too, was a great kid – annoying, frustrating, but also kind and personable. It’s the big THING that happens pretty much near the beginning that makes it kinda awful and suspenseful, especially if you have or spend time with kids. I literally couldn’t stop reading because I had to find out what happened, and in this case, I’m not sure that was a good thing. A journey of self had to be made, and the “bad guy” wasn’t strictly black and white, either, but I dunno, it was hard to read and hard to justify its merits, if any. Otherwise, a pretty good book. 5/5 ✦ – Finished 18 Mar 2015. Whoo! 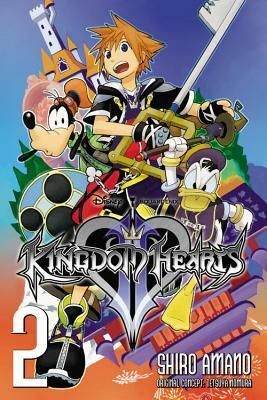 This volume went through the bulk of the worlds from the game, excluding Halloween Town as usual, and also Port Royal (understandable) and couple others. There’s also neat little bits from Organization XIII and Kairi that are expanded. Basically, the story has been condensed and yet intensified. IT’S AWESOME. Again, it’s amazing how there can be so many different styles – even Timeless River! 3/5 ✦ – Finished 20 Mar 2015. This book was obviously very well-researched. 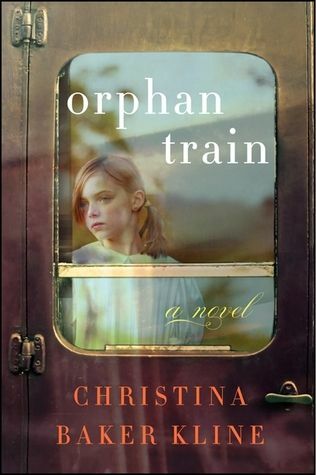 Orphan trains were not something I’d heard of before, and it’s clear that Kline made sure to include all the pros and cons of that program. The rest of the “history” of this historical fiction kinda fell flat. I appreciated that Molly wasn’t that stereotypical and also of a mixed race and how confusing that is, but I don’t think much research was done into Native American life or the foster care system (nearly all the mothers, both past and present, were terrible people). There’s one scene that I KNEW was going to happen, and I really wish it hadn’t, but it seems you can’t have these types of books without THAT event occurring. I’d glad it ended happily, but there was no drama or suspense that it wouldn’t. 4/5 ✦ – Finished 20 Mar 2015. Yeah, so, I read this in one sitting. It’s compelling in a way that doesn’t rely on gimmicks or contrived suspense to move through the plot. I just wanted to know what Christopher was going to do next. 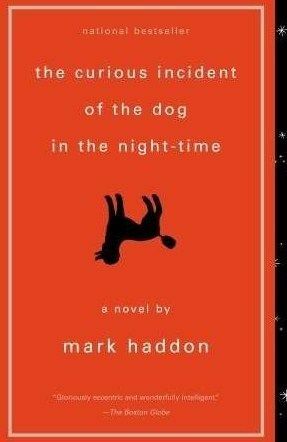 Now, I don’t know any one who is autistic, so I cannot fully vouch for its truth, but based on research and secondhand stories, the protagonist’s behavior seems to be fairly accurate and respectful. The struggles his family goes through are hard to read about, but I felt sympathy for everybody, even his parents. The writing style is the kind that you can’t get out of your head for hours after, and the whole thing just WORKS. It’s not a happy book, but not really a sad one either (I don’t know why the blurbs inside called it “hilarious”, tho), and though it’s been marketed as a mystery, it’s not in the straightforward sense, but in the more symbolic way that the entire world is a mystery to Christopher, and he must rely on logic and experience and schedules to get through the day. Good thing he’s pretty smart. 5/5 ✦ – Finished 22 Mar 2015. This whole book only covers one short – albeit very important – part of the game. Quite a few bits were added, mostly Organization XIII scenes and what Karai was up to. And it’s all very funny and also emotional. Sadly, this is where the story ends for now, as Amano hasn’t finished the remainder of the story yet, and it may be awhile before the finished product reaches the States. But it’s been awesome so far! 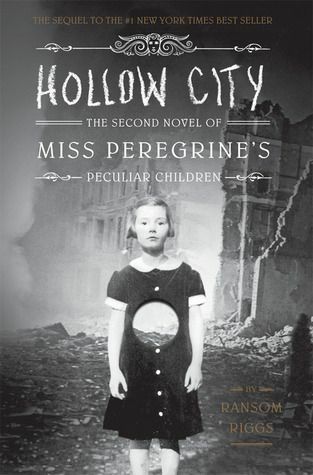 The peculiar children books you mentioned seems like something I’ll definitely look into. Thanks for these reviews! Always looking for new books to read.